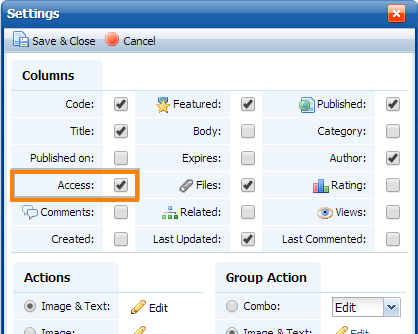 You can make article access permissions displayed in the article list on the Articles > Articles & Categories page in the admin area. This helps to determine an article permissions without opening the article. A group name or multiple group names, separated by commas. That would be group(s) that have access to a given article. Here is how you can turn that column on. That will open the article list settings. 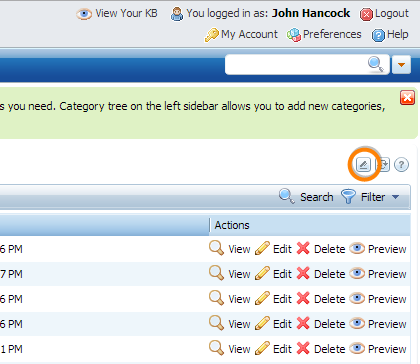 Tick the checkbox next to "Access" and click "Save & Close" to save the change. Now you can see article permissions right in the list.